The White Rock Business Improvement Association (White Rock BIA) is committed to protecting the personal information of our members, volunteers, employees, contractors, and supporters. 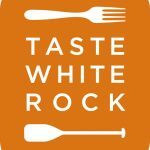 The White Rock BIA collects the following personal information in order to provide services, share information, and meet contractual and/or legal requirements: legal name, phone number, email address, and mailing address. In addition, the White Rock BIA collects from its employees their Social Insurance Number, salary and deduction information, and banking information in order to facilitate salary payments. You are considered to consent to the collection of this information if you willingly and knowingly provide it to a representative of the organization. The White Rock BIA stores personal information in a secure physical location and on password-protected local computers and cloud-based servers (including but not limited to Shaw Hosting, Member365, MailChimp. Dropbox, and Google Drive). The White Rock BIA discloses personal information on a need-to-know basis to employees, contractors, volunteers, and third parties (including government agencies, partner organizations, and payroll companies). Please expect it to take a minimum of 21 business days for your request to be fulfilled. Deletion of your personal information may mean we are unable to provide services, relevant information, and payment.